When you have to compete with one touch ordering and automatic restocking schedules, e-commerce boxes are a fantastic way to get your brand recognized and get your customers in Illinois excited when they see your packages. E-commerce boxes for your products in and out of Illinois can help determine if customers keep buying and keep restocking. If for any reason you have any questions or comments about our e-commerce boxes in Illinois, feel free to give us a call at 630-323-1354 or fill out the form on this page and a representative will respond shortly. Originally founded over 50 years ago in 1968, our team has been dedicated to excellence since our inception. Through our hard work and expertise in the industry, we can create creative design for your e-commerce boxes that will help your business stand out from the competition in Illinois. Our team has had the privilege to work with clients in Illinois who sell food, clothing jewelry and many other products online. Our products are clearly branded so when potential customers see your e-commerce boxes, they will associate them with your business. The designs you include with your box represent your brand and can potentially enhance your company-customer relationship so it’s vital for your business to have a great e-commerce boxes in Illinois. The custom fit of a product, the design of the logos, even the ease of opening is important. 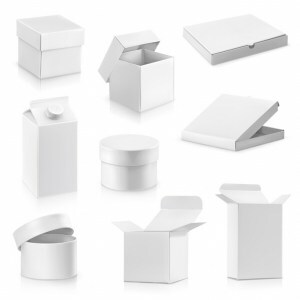 Packaging Design’s e-commerce subscription boxes in Illinois are considerably more affordable compared to our competitors and are fully customizable to best suit your products and your brand. If for any reason you have any questions or comments about our e-commerce subscription boxes in Illinois, feel free to fill out the form on this page and an associate will respond shortly or give us a call at 630-323-1354.